One of the best ways to plan for large crowds is to have a proper, comprehensive plan or strategy laid out ahead of time. From figuring out the number of attendees to scouting possible evacuation routes, there are no shortage of insights to gather beforehand. It’s important to also come up with risk scenarios and emergency plans in case anything goes awry. 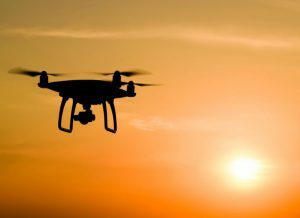 That’s why we use innovative drone surveillance technology to calculate all potential threats outside of the norm. After all, no one ever knows what’s going to happen, so the more planning and information available, the better. When used correctly, this strategy will help detect an issue early, instead of waiting for it to develop. In this business, communication is essential. 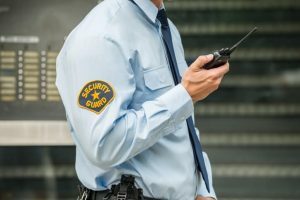 Security teams tasked with protecting an event must have mobile phones or radios in order to communicate with one another. If a situation arises, the team needs to be able to speak to each other immediately. On the other hand, effective communication also extends to crowd control and guests. Believe it or not, a little hospitality can go a long way towards preventing any potential conflicts. Even a simple interaction, such as “be safe,” can do the trick. Sometimes, people may even have questions, which gives guards a chance to set expectations. 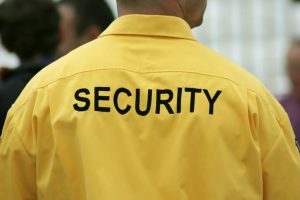 For optimal crowd control, security always needs to observe attendees, watching for potential issues or unruly guests. That’s why our guards are trained to detect out of the ordinary behavior. By observing language, body language and actions, guards can find and resolve problems before they get serious. At events of any kind, alcohol consumption can become an issue if it is handled improperly. That’s why it’s essential to receive complete training in overserving. It will help point out and prevent potential problems ahead of time, so they don’t ruin the event for everyone. Crowd control is way more important than you’d think in terms of ensuring the success of an event. However, the best kind of crowd control is the one that you don’t hear about, the one that handles issues before anyone even finds out.